Mr. LANDRY is our 9-month-old puppy. 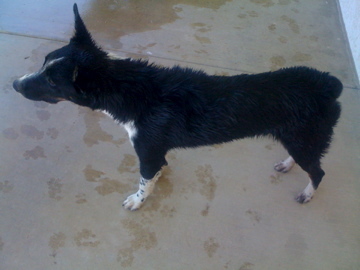 He is an outdoor ranch dog, and too big to bathe in the tub like we did in the early months. 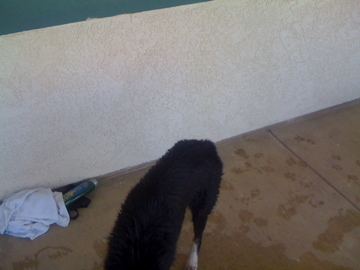 So we got brave and gave him a bath on the front lawn the other day. It’s in the 100s here so don’t feel sorry for him about being cold or anything. I’m sure the water felt good, but he does not seem to particularly care for water. Well, he’s pretty ornery in general so I think it’s more that he doesn’t care for 1. being told what to do, 2. being held down, and 3. being laughed at. What??? Of course, we laughed at him. We couldn’t help it. You understand since you can see the photos below, right? I mean, what else are we gonna’ do?? First, let me illustrate one of the many ways Landry gets so dirty. 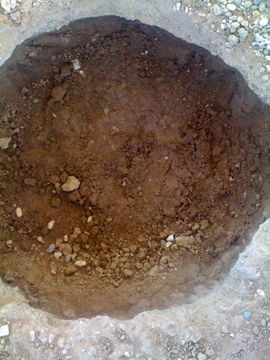 Here is a post hole my husband dug, which happens to be in Landry’s pen. It’s muddy from being soaked to soften the ground for more digging. Here is Landry in the hole. He curls up and sleeps in it during the day. “Ahhh…so cool,” he tells us. So let’s get some dirt off the kid. 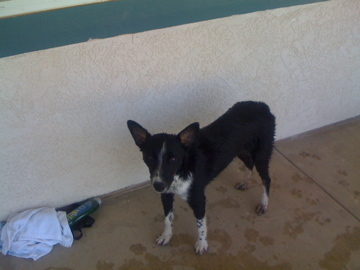 Here he is partially hosed off when we were done washing. Landry walks away. “Uh, we weren’t quite done yet, dude.” Couldn’t care a lick. He is a holy terror so don’t you dare feel sorry for him. 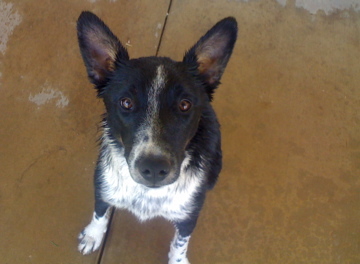 I keep telling him that it’s a good thing he’s so darn cute…. Oh my goodness, he is SUCH a cute dog! 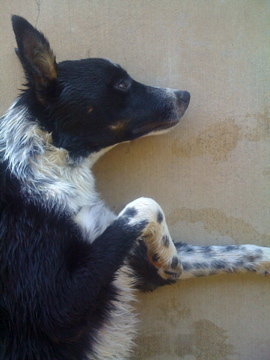 awww love your furbaby…can’t wait to see the layout! How cute! Sounds like quite the character! LOL he’s so darn cute!!! Sounds like he’s such a character. he is so cute!! and he knows it! He is so cute!!!! 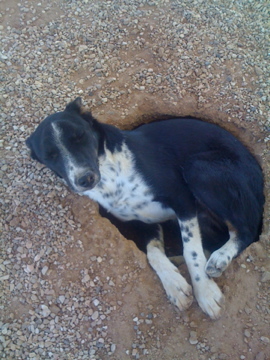 I’d nap in a hole just to stay cool if i could…AZ summers are cruel!!!! That’s so funny that he gets down in the hole! Too cute! He’s so cute! And that’s so funny that he sleeps in the hole like that.